Pvt. 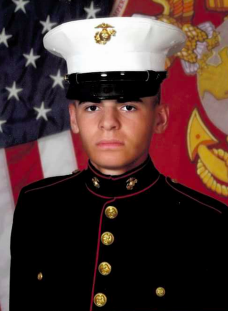 James J. Gallagher, 18, of Orangeburg, graduated from United States Marine Corps boot camp at Marine Corps Recruit Depot Parris Island SC on June 30. Pvt. Gallagher successfully completed 13 weeks of intensive basic training at MCRD Parris Island as one of 61 recruits in Delta Company, 1st Recruit Training Battalion, Platoon 1040. While in recruit training, Pvt. Gallagher achieved Marine Expert Rifleman. Following ten days home on leave, he reported to Camp Geiger, NC for one month of Marine Combat Training, then to Military Occupation Specialty School. Pvt. Gallagher is a 2016 graduate of Tappan Zee High School.